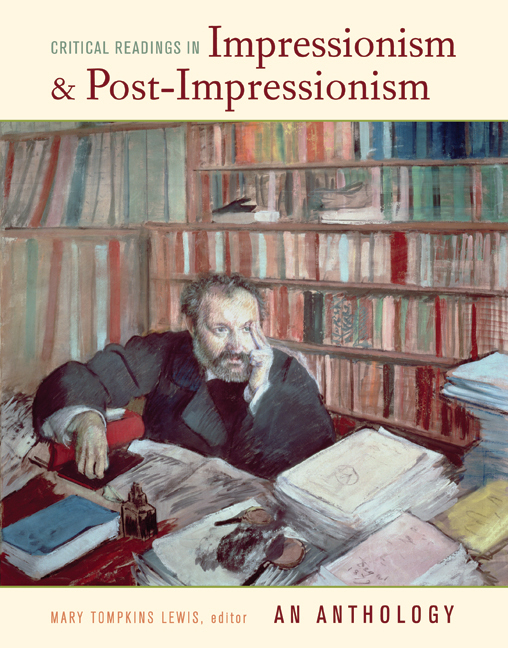 The essays in this wide-ranging, beautifully illustrated volume capture the theoretical range and scholarly rigor of recent criticism that has fundamentally transformed the study of French Impressionist and Post-Impressionist art. Readers are invited to consider the profound issues and penetrating questions that lie beneath this perennially popular body of work as the contributors examine the art world of late nineteenth-century France—including detailed looks at Monet, Manet, Pissarro, Degas, Cézanne, Morisot, Seurat, Van Gogh, and Gauguin. The authors offer fascinating new perspectives, placing the artworks from this period in wider social and historical contexts. They explore these painters' pictorial and market strategies, the critical reception and modern criteria the paintings engendered, and the movement's historic role in the formation of an avant-garde tradition. Their research reflects the wealth of new documents, critical approaches, and scholarly exhibitions that have fundamentally altered our understanding of Impressionism and Post-Impressionism. These essays, several of which have previously been familiar only to scholars, provide instructive models of in-depth critical analysis and of the competing art historical methods that have crucially reshaped the field. Mary Tompkins Lewis is Visiting Associate Professor in the Department of Fine Arts at Trinity College, Hartford. She is the author of Cézanne’s Early Imagery (UC Press) and Cézanne.